We have only 4 tickets remaining for our December 15 Tea at the Tilted Teacup. If you are interested in attending, please call Alexis at 352-56-3154. 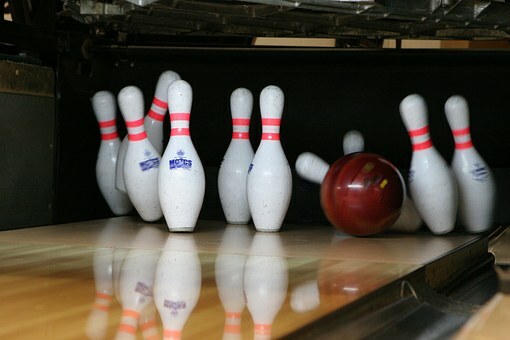 Boomer Bumper Bowling at Strike City Lanes will be held on January 17 from 7 to 10pm. Tickets will go on sale beginning Monday, December 12 in the Lodge from 10am until 12noon. There are 40 tickets available. This is a "Boomers Only" event because of the limited number of tickets. Tickets are $10 each and that includes 3 games, shoes, and prizes. I'm told it is impossible to throw a gutter ball in bumper bowling and should be a fun evening for everyone regardless of your bowling skills. Our annual meeting will be on January 20 at 5pm in the Lodge. After our brief meeting we will introduce the candidates who will be running for the Timber Pines Board of Directors. We hope you will join us. Rocky and the Rollers will be playing on January 29 in the PAC and this event has sold out. We have a wait list and if anyone has purchased a ticket but will be unable to attend, please contact Nancy at 352-293-3522and she will help you resell your ticket to a boomer on the wait list. For those who have not renewed their membership for 2017, our membership renewal will begin Monday, January 2 in the Lodge between 10am and 12noon, and continue every Monday and Wednesday during the month of January. The cost of membership is $5 per person.